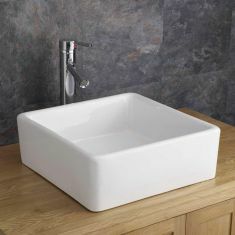 Discover a fantastic range of square basins online with Click Basin, with different styles suitable for all kinds of bathroom suites. 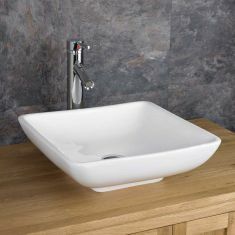 There’s no need to wait for weeks when you find the basin you want - any basin we stock is ready for FREE delivery and next day dispatch. 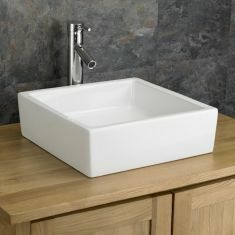 Click Basin stocks a wide range of square basins, including different materials and mounting types. 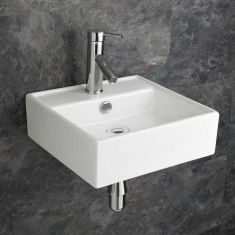 Choose between a classic white ceramic basin or a contemporary glass style, then decide whether you’d like a countertop, inset or wall-mounted unit. 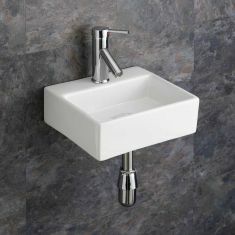 Along with the style of the sink, Click Basin customers can also choose between a surface-mounted or wall-mounted tap, completing their basin with a slick, effective pop-up, push-click waste plug. 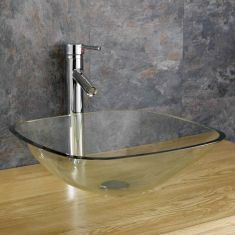 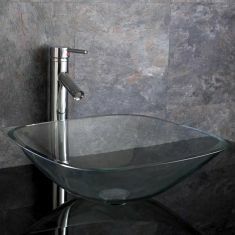 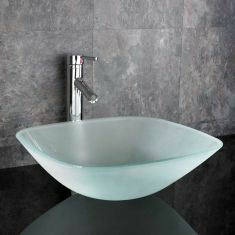 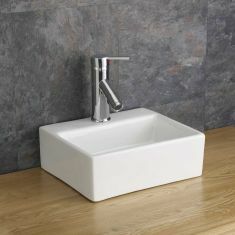 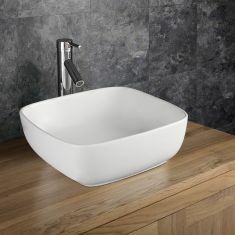 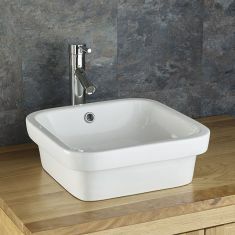 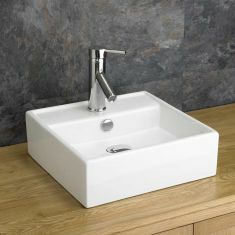 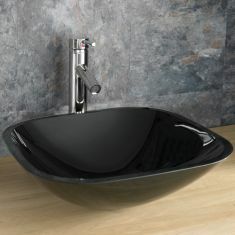 We sell all of our square basins individually or as part of a reduced price ‘All in One’ package. 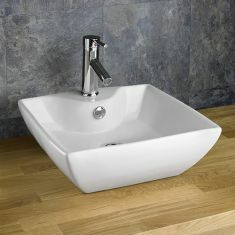 This great value deal includes a high-quality mono mixer tap and a related push-click waste plug. 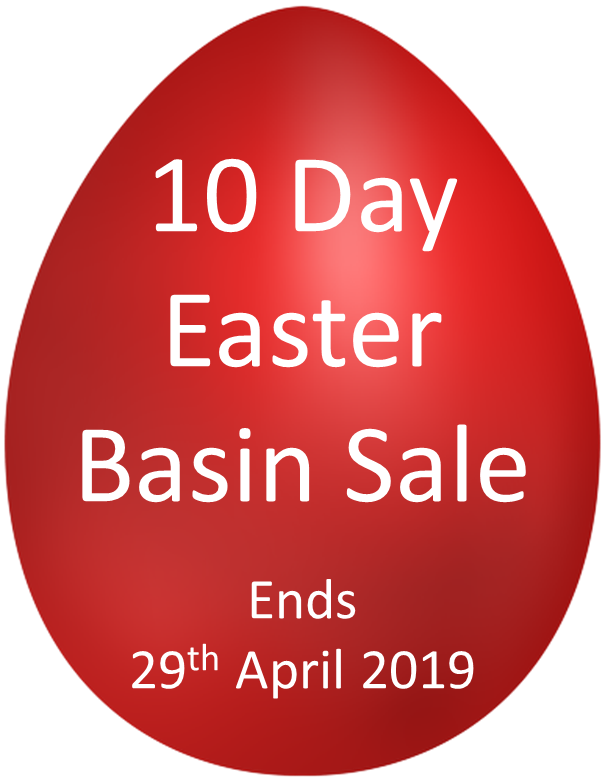 It’s easy to order our bundle. 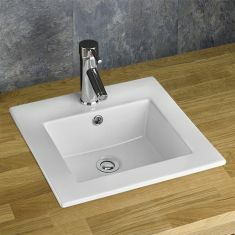 Simply choose it from the products above in the same way that you’d buy an individual sink, then sit back and let us deliver it to your door.